This is Peridot Glass/ Nano/ Hydro.This is made on order at our factory in Jaipur. 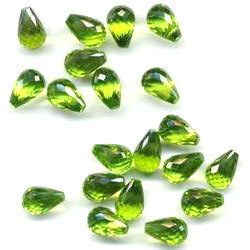 We are a reputed name in the industry, devoted towards offering the best quality array of Loose Peridot Gemstone. 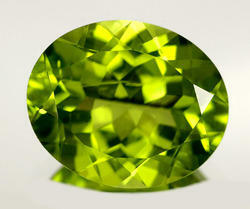 With our expertise and trustworthiness, we are engaged in offering an optimum quality range of Peridot Cut Stone. Our immense domain expertise and knowledge assist us to offer a finest quality collection of Square Shaped Peridot Gemstone. This gemstone is available in various cuts and sizes to meet the different choice of our precious clients. Highly demanded all across the country, this gemstone is checked on various quality parameters. Doublets and triplets are composite stones, with either two or three layers. The number of possible combinations of materials usable in making such gems is very large. Doublets should be kept away from chemicals, heat as this can cause damage or permanent changes to its appearance.